The problem with encouraging firms to maximize shareholder welfare is how to prevent managers and special interests from diverting corporate resources in the name of shareholder welfare to causes that provide them, their family, or their friends with private benefits. Hart and Zingales argue that managers should be encouraged to maximize shareholder welfare and not market value. In the abstract, this should not be controversial: firms are just collective enterprises by which investors, workers, managers, and others band together to advance a goal that they cannot achieve on their own. It would be odd in a free enterprise system if investors were not allowed to set up a firm to advance goals that matter to them in addition to increasing their wealth. The problem is how to prevent managers and special interests from diverting corporate resources in the name of shareholder welfare to causes that provide them, their family, or their friends with private benefits. Diversion of corporate resources for private benefits is a huge concern in many parts of the world, where investors have weaker legal protections than in the United States. At its most blatant, such diversion takes the form of transferring cash to an outside interest, but using corporate funds for social causes that benefit only a subset of shareholders is functionally the same thing. A virtue of Friedman’s prescription to maximize firm value is that value maximization is easy to monitor and enforce. For example, when a firm receives competing takeover bids, the Revlon Rule requires the board to accept the one offering the highest price, even if the board believes that a lower-price offer might have advantages beyond shareholder value. Allowing managers to maximize shareholder welfare runs the risk of giving managers a license to pursue private benefits under the guise of advancing shareholder welfare in some broader sense. In practice, shareholder voting systems are likely to be dominated by special interests such as labor unions and public employee unions. This is already the case for shareholder proposals. Value-focused investors are largely passive, and would rather sell if they don’t like the company’s policies than invest in campaigns to change policy. How do we run elections in a way that ensures that special interests don’t dominate simply because they are more motivated? In practice, passive investors are heavily influenced by a small number of proxy advisory companies, notably ISS and Glass Lewis, that dominate the market. How these companies arrive at their recommendations is a mystery to many informed observers, and there is concern that they might be influenced by the managers of corporations to which they sell consulting services. How do we ensure that uninformed passive investors get the information they need to make the right decisions? Shareholders are unlikely to agree on whether or not a company should pursue nonfinancial objectives. If 51 percent of shareholders vote to divert corporate resources into a social cause they support that is opposed by the other 49 percent, there has essentially been a wealth transfer from the 49 percent to the 51 percent. Do we want a system in which shareholders can redistribute corporate resources from one group to another through voting? How do we prevent dissipative rent-seeking using the company’s resources? Would allowing this sort of between-shareholder redistribution be advantageous for capital markets, or would it raise the price of financing by adding a new risk of expropriation? None of this is to dismiss shareholder voting. Hart and Zingales seem right in arguing that shareholders should be able to direct corporate resources as they choose. It is hard to see a problem with a company that at its founding declares that 1 percent of revenue will be donated to a particular cause; as long as it sticks to the plan, investors know what they are getting, and there is no expropriation taking place. One proposal would be to permit non-value-maximizing policies that are explicit when the company goes public, but require managers to gain shareholder approval before they initiate new actions to advance non-value goals. In terms of the pursuit of nonpecuniary objectives, such a rule would be more expansive in some respects and less expansive in other respects. It would be more expansive by allowing managers to explicitly pursue nonfinancial objective and not be in violation of their fiduciary duties when shareholders give the green light. 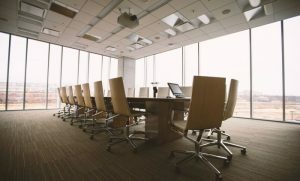 It would be more restrictive in that a variety of current practices, such as charitable contributions, could not be pursued by managers acting unilaterally, but would require shareholder approval in the future.